Autumn. It’s a season that evokes many feelings, from romance and nostalgia to cosiness and tranquillity. 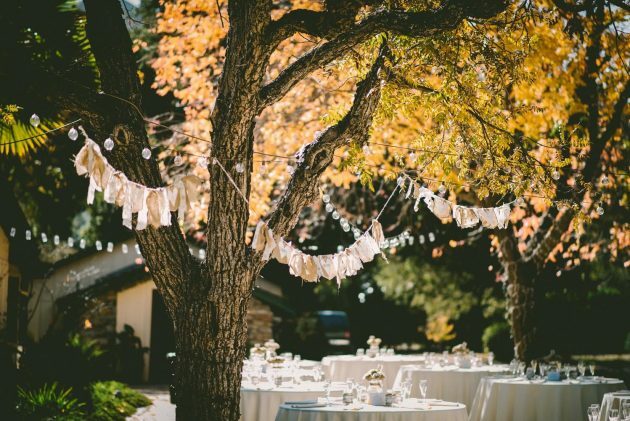 So what better theme for your wedding décor? 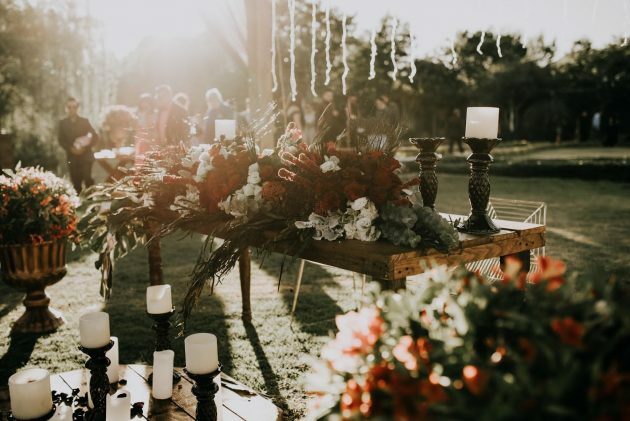 Whether you emulate the rustic look of the leaves in your centrepieces or you go all out with bronze/gold finishing touches, it’s really easy to incorporate this season into your wedding – and make sure it’s totally show-stopping. If you’re definitely going with the autumnal theme (or even if you’re just getting married during an autumn month), why not start by introducing this through your wedding invites? From leafy patterns and prints to subtle bronze touches in the pen you use to write them, this is a fabulous way to begin the autumn theme and make it stand out from the crowd. 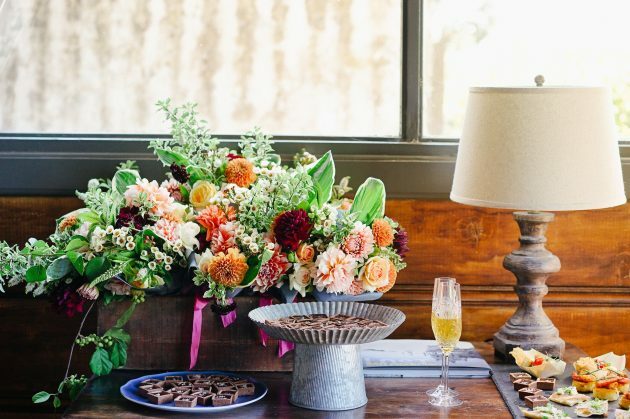 Autumn’s never going to be a good time to get married outdoors but that doesn’t mean you can’t bring a touch of the outside in. Incorporate twigs, autumn leaves and branches into your centrepieces and interior décor before adorning them in delicate fairy lights. These won’t just add some extra detail to the decorations but will really highlight those beautiful golden tones for maximum impact. OK, so while mirrors in themselves aren’t ‘autumnal’ as such, they can add some dramatic impact to your wedding décor and photos – trust us. 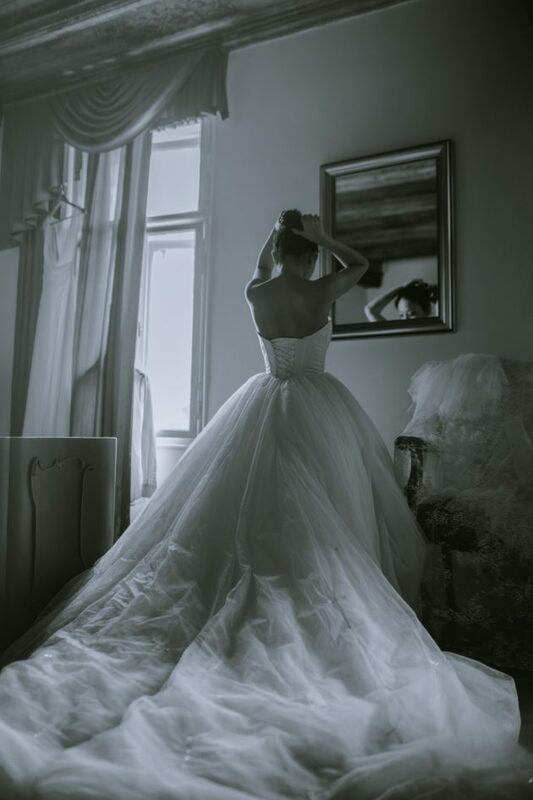 We think they’re fabulous for bridal portraits (just picture this – you stood facing the camera with the mirror reflecting the stunning detail of the back of your dress, or vice versa). Or they’re perfect for using as an alternative way to present your table seating arrangements. Simply use a white chalk pen to write/draw the plan out – or go bronze instead to reflect those stunning autumn colours. Just find a mirror that’s in keeping with the overall feel of your wedding, e.g. modern and minimalist or vintage and ornate. For inspiration and jaw-dropping designs, head to Cox & Cox. Finally, why not use the cold, crisp edge of autumn to your advantage by offering out tasty, warming treats for the guests? Think hot chocolate, toffee apples and marshmallows, gifted in cute jars and rustic baskets. You could even have a constant supply of hot chocolate at the wedding with an array of toppings for your guests to choose from. Ultimately, autumn gives you so much choice when it comes to creating those finishing touches that take your wedding to a whole new level. Other cool ideas include fireworks, sparklers, small outdoor fires (in fire pits, for example) and even Halloweenesque details – the possibilities are endless!